No one teaches you how to handle grief at Christmas after losing a loved-one. 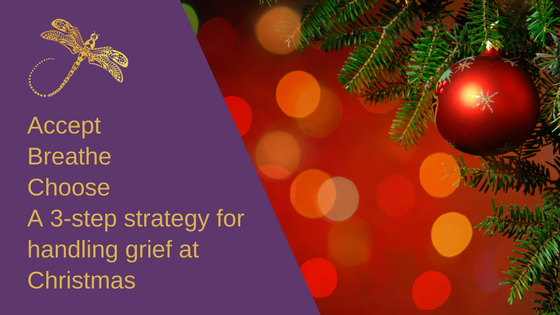 The recent Twitter storm about triggers for grief at Christmas made it clear how many of us struggle to feel festive at this time of year, how close the pain of loss is to the surface. But it’s not something we talk about. Social media is silent, apart from the occasional ‘miss you, Mum’ post on the big day. We each have our own list. And the one thing most of us have in common is the belief that we have to go through this silently, without letting anyone in. Putting up the decorations proved too much for me last night. “I’ll never see Mum’s Christmas tree again!” was a thought that got me sobbing, in front of the kids, right when we should have been listening to carols and filling the house with joy as we put up our own tree. And I got a double whammy this year. Over the summer I was writing my first novel, You Take Yourself With You, and the lead male character (Christof) was experiencing his first Christmas without his Dad, who had died in a car crash that he survived. Writing about Christof’s experiences of ‘the first xyz, since…’ shone light on my own grief and made me explore my own healing process. Developing the story of how he coped made me contrast my character’s strategies with my own. Last year – our first Christmas without Mum, who was always the life and soul of the festival – I managed to break with tradition and go to someone’s house who had never hosted our Christmas. It really helped. This year will be the first Christmas I have hosted without Mum there – and without my Dad, who will be with his new wife’s family for their first Christmas after getting married. The thing is, I made a promise to myself after Mum died that I would stop the many ways we ‘pretend’ in life. I would allow my social media feed to show the less-beautiful stuff, as well as the happy stuff. I would let people know if I didn’t feel up to something. 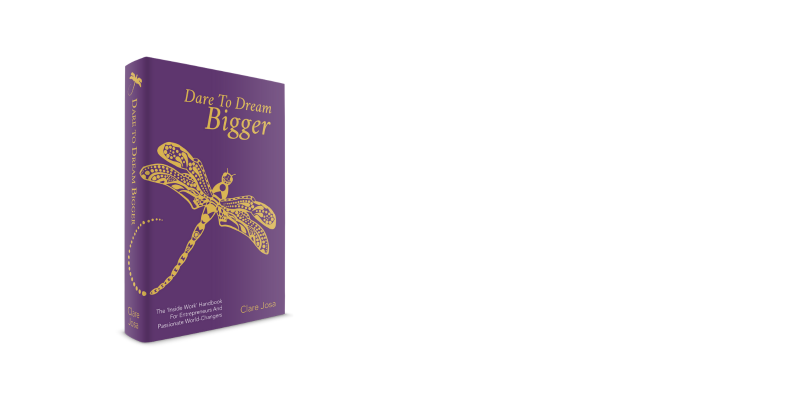 I would talk openly about the emotions I was feeling around losing Mum. And working through the tsunamis of pain that would often overwhelmed me at first, I developed some tools that really helped me to move through them, rather than pretending they weren’t there. And when I stopped fighting the emotions and allowed them to wash through me, I felt the relief afterwards – the closure – the letting go – in a way that would have been impossible had I carried on pretending, storing those painful experiences up for a future date when they would catch me unawares. I can’t change the past and I can’t easily change my subconscious emotional response to it. As Carl Jung said, “what you resist persists.” If you fight the emotions and push them down, they will find a way to get you, later. If you allow yourself to experience them, without diving in to the drama, they pass on through more quickly than you might think. When I was studying to become a meditation teacher, a wise old Buddhist monk once told me that any emotion, left to its own devices, would pass on through in under sixty seconds. At the time, I was far from grateful to him for this wisdom. I was convinced that negative emotions were justified in lasting for the hours, days and even months they managed in my life. But now I can see he was right. The pain I felt was caused more by the stories I was telling myself than by the emotions themselves, which were nothing more than a chemical reaction in my body. There’s a how-to for you on this here: Is Your Monkey Mind Telling You The Truth About Stress? So when my memories of Mum come up, nowadays I allow myself to experience them, knowing that doing anything else is like trying to deny how much I care. Here are some practical ways that meditation can make this easier. When emotions come up, it’s natural to tense up and hold your breath. But that triggers your body’s sympathetic nervous system – your fight / flight / freeze response – firing off your stress hormones and feeding the painful emotions with negative thoughts. The simple act of breathing, deeply and mindfully, can reset this cascade of hormones, giving you access to more neutral thoughts and emotions, allowing the grief to pass on through. When you know how to go straight through the middle and come out the other side, you no longer have to avoid; to pretend; to white-wash. If you’re not sure how to do this, there’s a guided meditation that takes you through it here. I will be using exactly this technique to get grounded and let go of those emotions, as we go through Christmas this year. The real work in handling grief at Christmas comes before the big day. 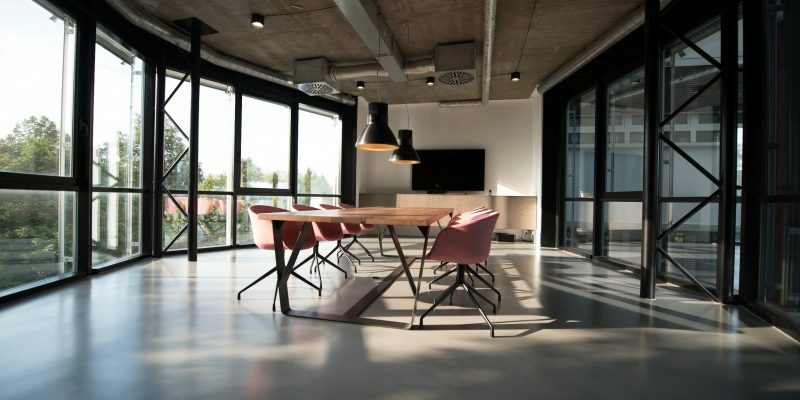 The more you can work with techniques such as mindfulness or gratitude to retrain your mind to think thoughts that make you feel good, on a day-to-day basis, the easier it is to bounce back from difficult emotions. 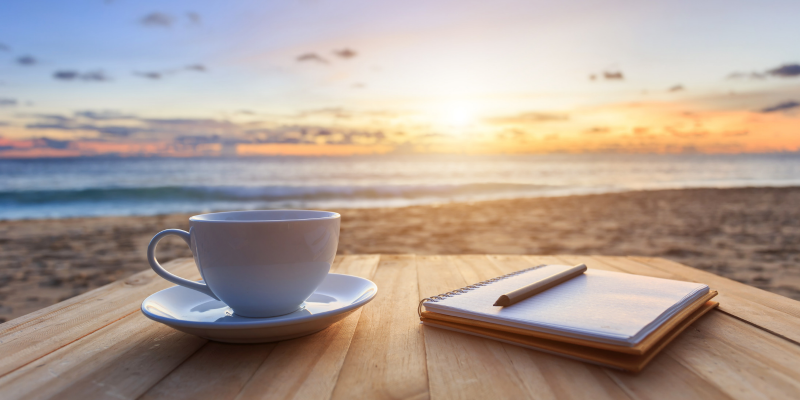 Keep a gratitude journal or building up a daily mindfulness practice can pay back every day for the rest of your life. I hope these three strategies help you this Christmas. Let me know if you have any tips of your own, via the comments. And, above all, if you find the festive season difficult, please make sure you let people help you. Talk to them about how you’re feeling. You don’t have to do this on your own. Allowing them to walk by your side could be the greatest Christmas gift ever, for both of you. 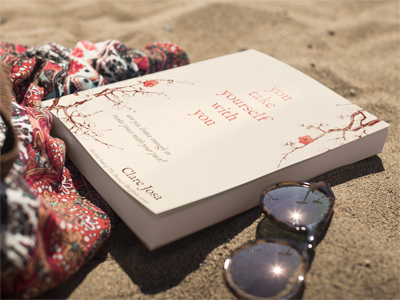 Clare Josa’s new novel – You Take Yourself With You – has been described as ‘unputdownable’ by readers and is available in-store and online.